BIG PRICE CUT! 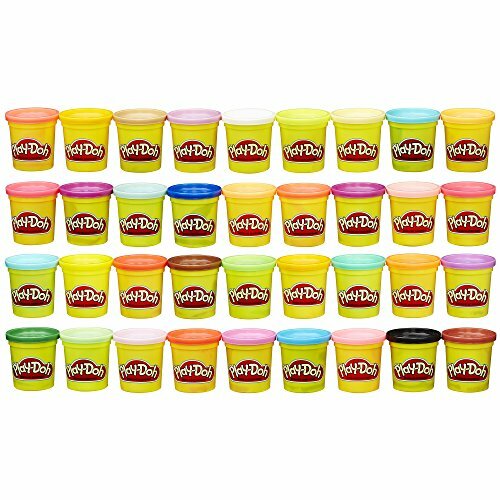 Huge Pack of 36 Play Doh Cans! FREE Shipping! Over 6 pounds of Play-Doh compound - this Play-Doh modeling compound 36 pack has 36 assorted colors in 3-Ounce cans for all your colorful creative needs, and there's plenty for kids to share! Mega pack of Mega Play-Doh fun - shape, squish, mix, and make it all. Great for lots of uses like classrooms, play dates, arts and crafts, party favors for kids, birthday gifts, or a Play-Doh refill. Shape your imagination - squishy, bright, non-toxic Play-Doh compound sparks imaginations For kids 2 and up who love arts and crafts like Modeling clay.